An article published by the Telegraph identified a few cities in the UK which were considered affordable, average and least affordable for First Time Buyers. Nottingham was amongst those which were considered affordable. For this Delving into Data edition we will use our homemover data to compare Nottingham with a few surrounding towns and cities. The average asking price for a property in Nottingham is £219,672 and the average time that a property is on the market for is 123 days. When looking into cities and towns near Nottingham, TwentyEA’s homemover data reveals that Lincoln, which is just over an hour away from Nottingham and has an average asking price of £227,432. Properties there are on the market for an average time of 143 days. Leicester, which is just under an hour away, has an average asking price of £261,996 and properties are on the market for an average of 113 days - suggesting demand is slightly higher in the area. Only half an hour away, Derby has an average asking price of £235,075 and properties there are on the market for an average time of 130 days. This does confirm that Nottingham is in fact the most affordable out of those nearby areas. Those First Time Buyers who are considering Nottingham but not yet quite ready to purchase due to saving targets, or perhaps they want to test the area first, could consider renting. 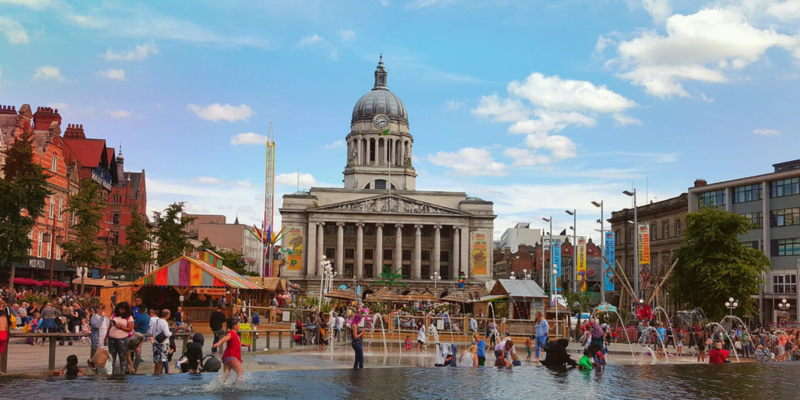 Nottingham itself has an average asking price of £576 per calendar month and properties are on the market for an average time of 113 days with 0.60% of properties being available for rental on the market. Lincoln has a slightly lower average asking price when it comes to rental properties with an average asking price of £529 per month with 0.53% of properties being available for rental on the market. Leicester is the least affordable of the four locations with an average asking price of £642 per month with 0.55% of properties being available for rental on the market. Derby which is the closest in proximity to Nottingham has an asking price closer to Leicester’s with an average price of £625 with 0.54% of properties being available for rental on the market. Lincoln does seem to the most affordable in terms of rental prices, and within a reasonable distance to visit and explore Nottingham. The TwentyEA homemover data does suggest that Nottingham is the most affordable compared to surrounding towns and cities, followed by Lincoln, Derby and Leicester.